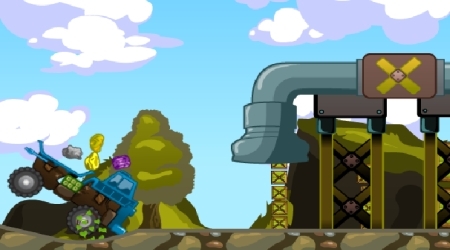 Fill up the truck with expensive rocks from the conveyor belt. Travel through hills and cliffs to reach the delivery point. 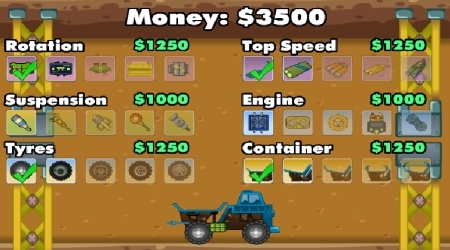 Upgrade your truck after every level using the money you earned. Drive your truck using the Arrow Keys.